Robust pupil tracking in 2019 without any annual fees. Powerful tracking software that works for your school - not the other way around. Is Time spent on assessment in your school value for money? "Other tracking systems have tied themselves into knots. Class Tracker was designed around a leadership team of London's top primary school in 2018. It produces reports schools really need, and was built for one main purpose: to move pupils' learning forward. At a glance, see who is on-track or 'exceeding' and compare these percentages to times in the past. Compare current attainment and past attainment (e.g. end of KS1) and see which individual children are making accelerated progress and which aren’t. Data around individual pupils, not 'statistical noise'. Select a class, a group or intervention, and see side-by-side how they are achieving and how quickly they are progressing. ​​​​​​​​​​​​​​​Progress Matrix plots attainment from two different assessment points on an easy-to-read grid. 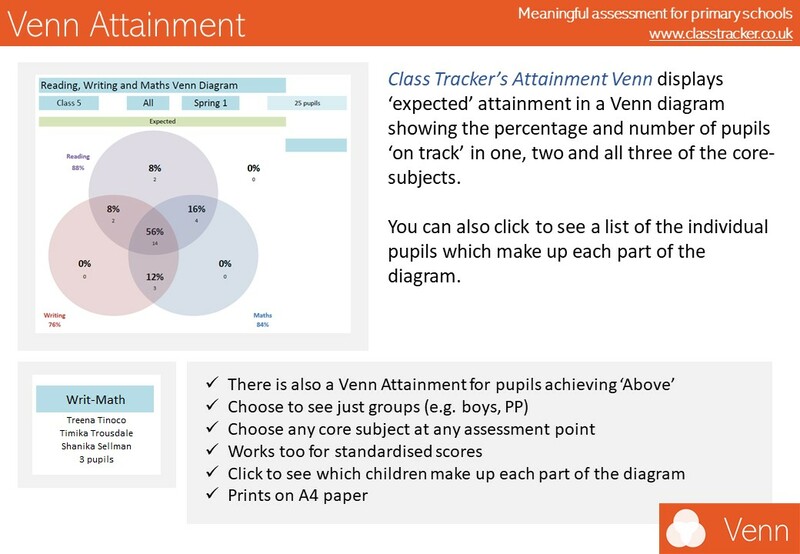 Attainment Venn displays ‘expected’ attainment in a Venn diagram showing the percentage and number of pupils ‘on track’ in one, two and all three of the core-subjects. 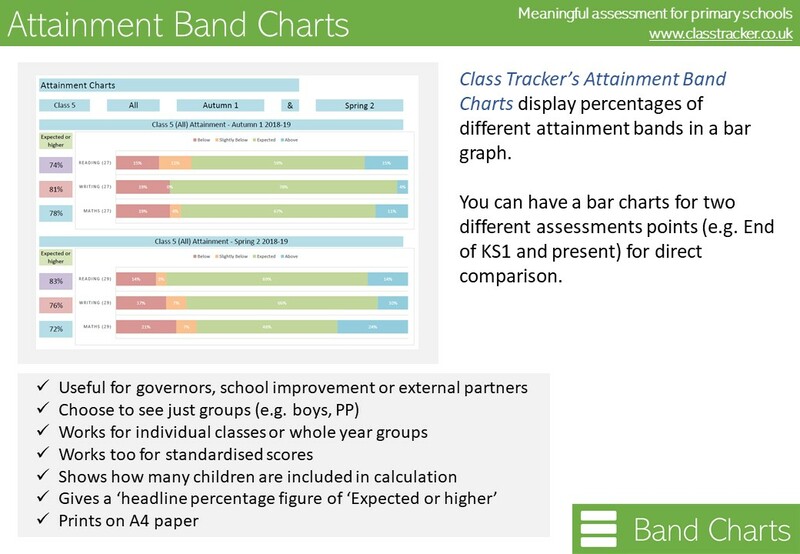 Attainment Band Charts display percentages of different attainment bands in a bar graph. 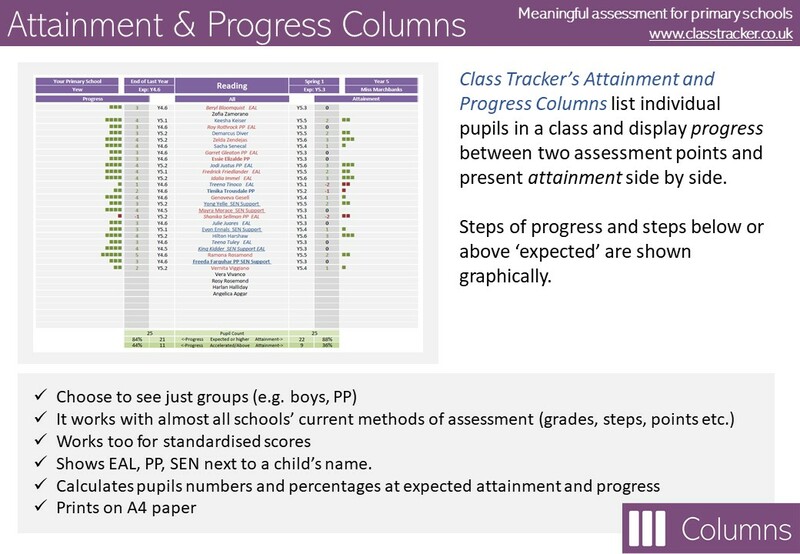 Class Tracker's 'Columns' list individual pupils in a class and display progress between two assessment points and present attainment side by side. You can see at a glance who is on-track, below and above – as well as better see the children who may be further outside those bands. 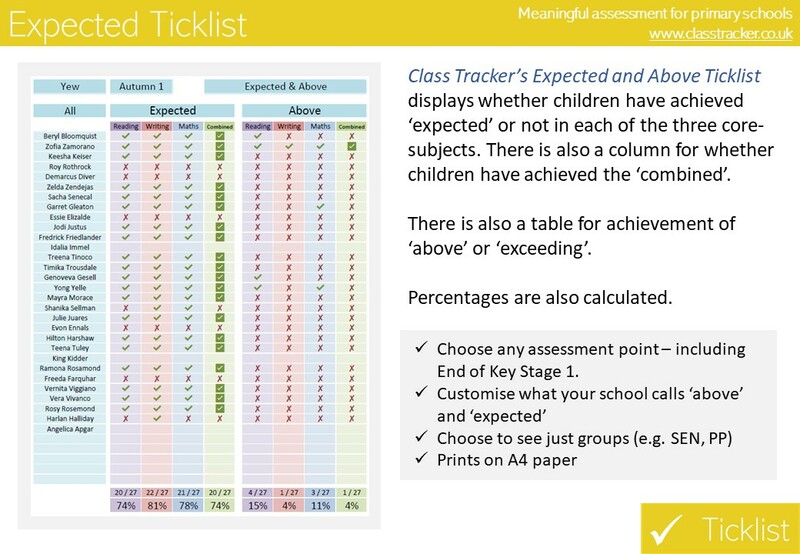 Ticklist displays whether children have achieved ‘expected’ or 'above'. There is also a column for whether children have achieved the ‘combined’. How will Class Tracker work for your school? Class Tracker is flexible, simple to use and highly effective. It has been designed to produce the charts, comparisons and reports which research shows the country's top performing schools use. Teachers find it manageable, while leadership insightful. It has been designed with the up-coming 2019 OFSTED framework in mind. OFSTED are focusing on assessment - in particular, the quality of assessment and the workload around data collection and management. Class Tracker is designed by working teachers for schools, and NOT by a company miles away from the classroom. 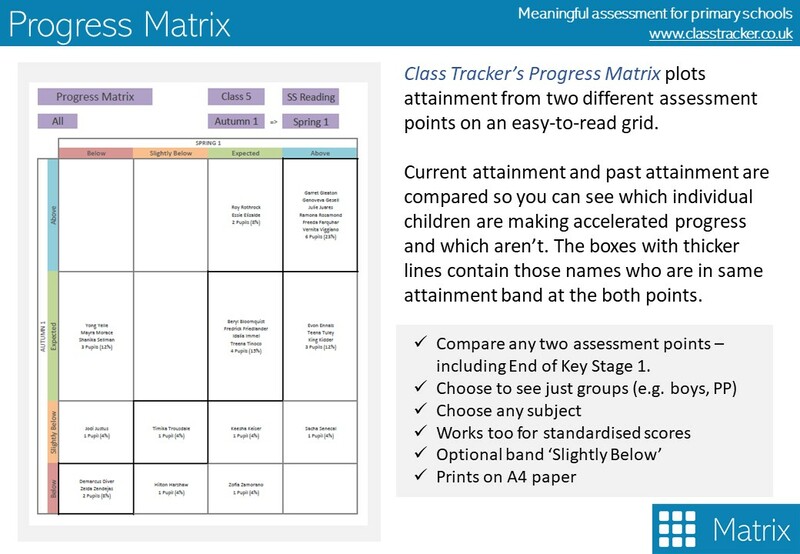 Class Tracker will fit with almost all existing 'steps of attainment' assessment methodology. You can have up to nine steps in a year group and up to six assessment drops a year. However, if you are one of the growing number who have thrown away 'steps of progress' and instead group pupils into bands (e.g.  below, expected, above) - Class Tracker can accommodate perfectly. We work around you - not the other way around. If you are looking for a new way to assess, we offer a guide to how other schools are using Class Tracker. The current climate in education is the perfect time to re-evaluate your school's assessment procedures. Now we use Class Tracker, we've been able to cancel our subscription to our long-standing pupil tracker. No more annual fees of over a thousand pounds... Class Tracker is very much liked by teachers, who can keep track on their pupils on what really matters. ​​​​Cancel Your Expensive Tracking Solution! Paying hundreds - if not thousands - of pounds every year for pupil tracking is unsustainable in this financial climate. It is not value for money. Why pay for an expensive online tracking solution, when OFSTED's new framework won't even ask for internal data? Save your school money - every year! Class Tracker can't be beaten on price and there are no recurring fees ever. Download the meaningful reports... at individual pupil and school level - without heaping extra work onto teachers. It couldn't be easier to enter assessment data into Class Tracker. It uses a familiar cell system which automatically verifies any inputted results against your list of allowed grades, which eliminates human errors. You can edit your 'allowed' grades easily. Your teachers will be able to access insightful reports which will assist them in teaching their class more effectively - which is surely the point of assessment in the first place! It's not just teacher assessment we analyse. Schools are increasingly turning towards bought-in tests, such as NFER or GL assessment, which provide standardised scores. In addition, many teachers are also using scores from their own custom tests. Class Tracker makes reports with these scores with ease. 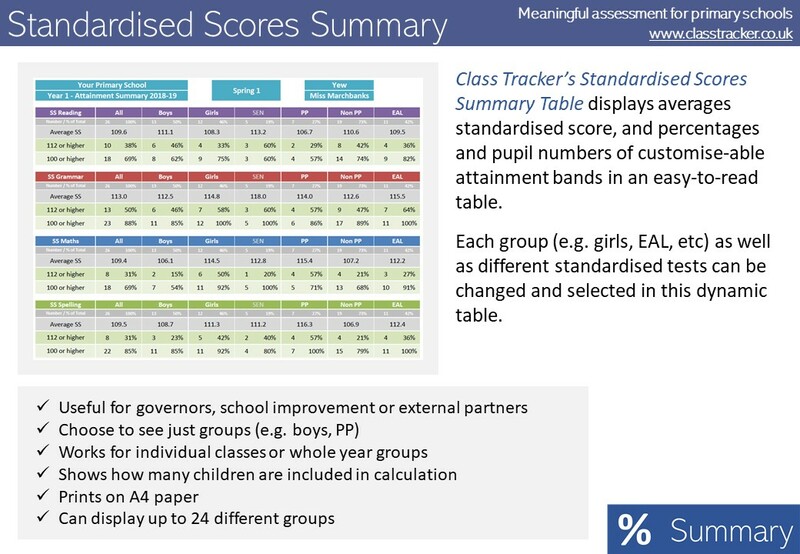 Class Tracker has been created from the ground up with the recommendations from the education committee report on primary assessment. You decide how Class Tracker works. Choose the assessment grades and their names. A tracker should never tell you how to run your school. What teachers input is up to you. Examples of a step-based system are Emerging, or Emerging and Emerging+. Or Year Grades like: Y6.2, Y6.2-, 4-6 or Y2Dev+. You decide. 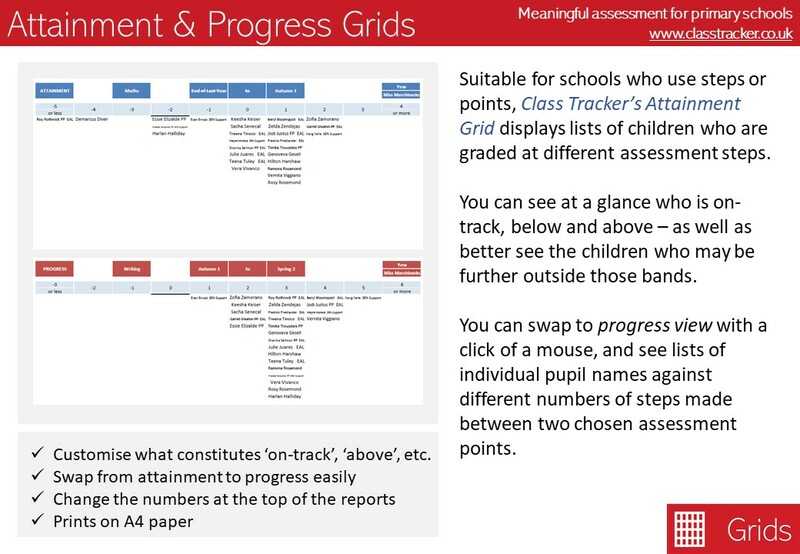 Or, if you prefer, use one of our 5 examples assessment schemes we know many schools are using. An increasing number of schools are now using a more simple Below, Expected and Above which Class Tracker can accommodate perfectly. Class Tracker's reports can be fully personalised with your school's logo and name. All reports are perfect for viewing on screen, printing on A4, or are easily exported to PDF. Class Tracker's Individual Summary Sheets have saved many hours of teacher time and present the latest information about individual pupils in an accessible format for parents. Grades and judgments are fully customisable, and Class Tracker includes a bank of over 500 easy-to-understand targets to choose from. Put primary assessment back into its box. Get started with Class Tracker today. Most schools are able to start using Class Tracker the same day as ordering. Order on account and pay later (by cheque or BACS) - or order securely with credit card. Here are some common questions about Class Tracker. Is our school too big? Class Tracker will work for up to 3 classes of up to 35 pupils (105 in total) in each year. Will Class Tracker track groups? Class Tracker will track and report data on gender, SEN, PP, EAL and ethnicities and your own custom groups. Other groups can include intervention groups, or low-attainers at KS1 for instance. Class Tracker puts back the focus on individual pupils which is very much the spirit of the new curriculum. Will it help with Pupil Premium? Class Tracker is a great use of the Pupil Premium. Children who are entitled to the pupil premium are tracked rigorously and all aspects of their achievement are measured and can compared to many other groups in the school. It is delivered as an Excel file. Many schools pay £1000s p/a for fancy online systems that they have little control over. Class Tracker is set up to recognise exactly what individual schools want at minimal cost. In addition, there are no problematic GDPR considerations, as data will be stored by you. Is your pupil tracking doing more harm than good? Over 90% of primary schools are using out-dated pupil tracking and assessment approaches. They are failing to overhaul their assessment systems in light of OFSTED's new direction. Get our report and see how successful schools are getting to grips with tracking and what effective assessment should look like in 2019. 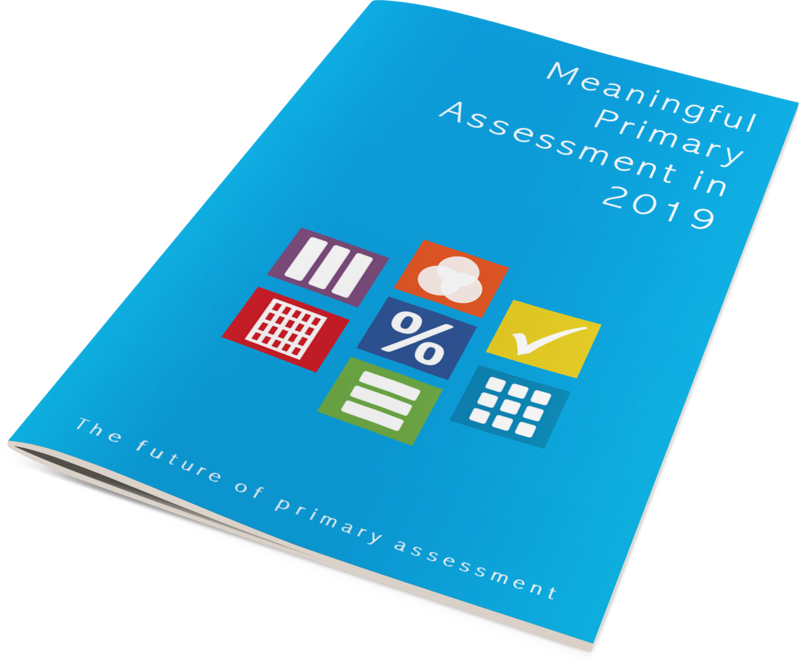 “Meaningful Primary Assessment in 2019” - sent to your inbox for instant downloading.